With his teammates failing to show application on the first day, Pujara played an innings to remember. 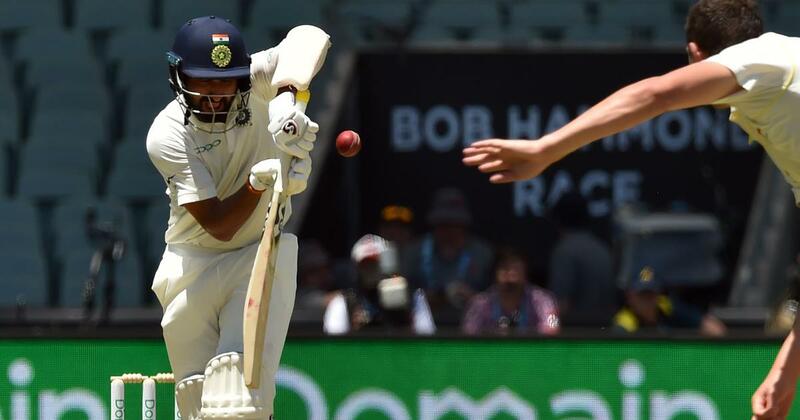 Cheteshwar Pujara provided the sole silver lining to India’s first day of the Adealide Test as he scored a century to rescue India after an early top-order collapse. His 123 from 246 balls ensured India did not get bowled out for under 200 after winning the toss on the opening day of the four-match series. It was his 16th century in Test cricket, which also brought up his 5,000 runs in Test cricket. His innings included seven fours and two sixes, one even off Australia’s premier pacer Mitchell Starc that was preceded by a boundary. The experienced India number three did what he has done many times before and stood his ground as wickets tumbled around him, including superstar Virat Kohli for three. Batting after Kohli won the toss on a day when temperatures topped 36 Celsius, the visitors crumbled under an opening pace barrage. Australia took four wickets before lunch with the batsmen guilty of playing at deliveries they would have been better off leaving alone. 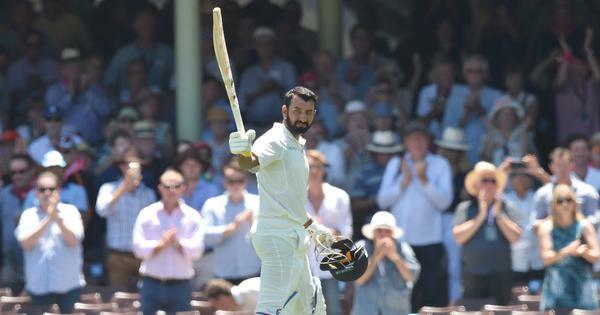 But Pujara produced a masterclass in patient batting, hardly putting a foot wrong during his stay in the middle before being run out late in the day, because of some brilliance in the field by Pat Cummins. Pujara wasn’t a part of the build-up narrative....India or Australia. It’s only fair that he dominates the first day of this #AusvInd Test series. Love it. How about this for a coincidence though?